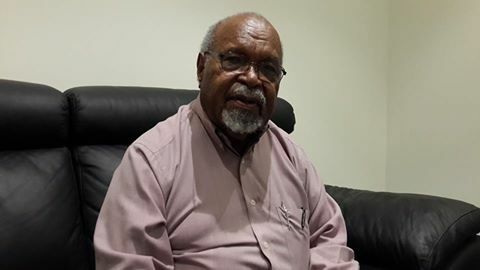 Turning 80 years old this year, PNG’s first Prime Minister and founding father of the self-governance, Grand Chief Sir Michael Somare tells PNGFM news in an exclusive interview that his greatest achievement in life, would be entering politics by becoming a Member of Parliament. He said it was this very achievement that led to PNG gaining Independence in 1975 and remembers every detail of his political career as if it was just yesterday. “It was always my goal and vision to stand for election since I was a high school boy and that’s when I decided to run for the 1968 second house of assembly and I put my name down when I was with working here for Information and Extension services for broadcasting, “ he said. Sir Michael came to Port Moresby in 1966 against his will; he believed he was transferred from Wewak to the capital by the broadcasting station there, because he was getting a bit too political. He said issues included salaries for workers and how our local men and women were treated by the Australians. Sir Michael proudly said that it was the 1962 group of Papua New Guineans who went to Sogeri that made serious changes for PNG to where it is now. By the time, Sir Michael became Member of the House of Assembly, his next goal was to be the country’s first Prime Minister after self-governance. During the change of winds in the 60’s within Africa and the Asia region, young Somare was already thinking ahead and his thirst for the Prime Minister’s seat was on his mind.